This website uses so called "cookies". eBit System - All payments accepted. The eBit Token sale has concluded. 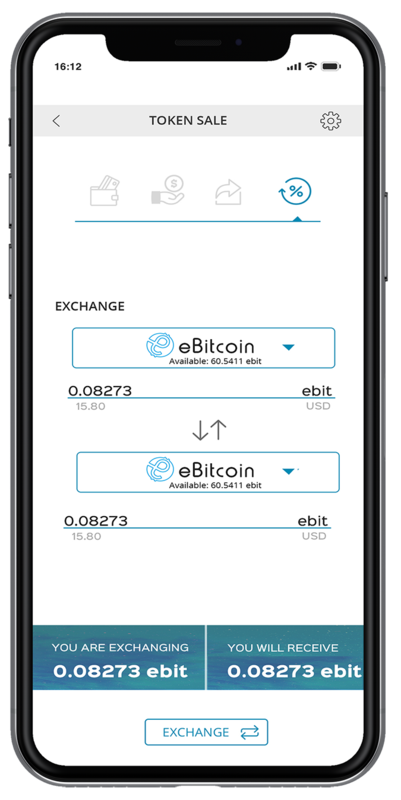 Use eBit System app to purchase cryptocurrencies and tokens and help us build the payment processor of our time. 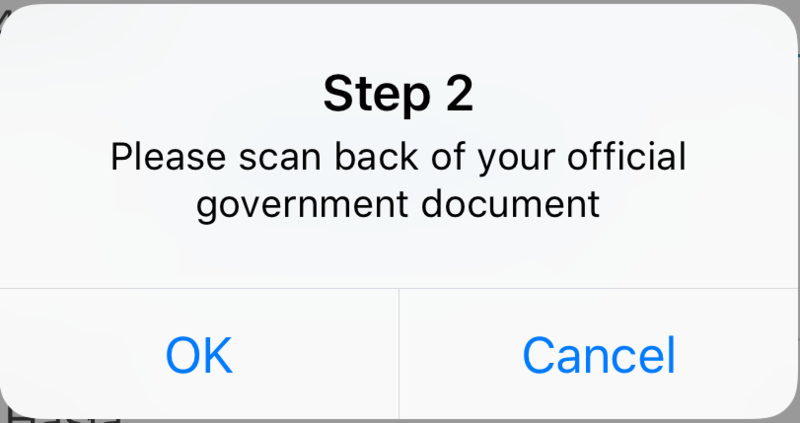 The blockchain keeps everyone honest, and a whole layer of banking bureaucracy is removed, lowering costs. In times of free access to information, easy intercontinental travel, international business and payments being done every second, currency exchange and international payments are still expensive and time consuming. While cryptocurrency payments could be the solution to these problems, it is next to impossible to make bitcoin or etherium payments for business transactions. Everyday purchases with cryptocurrencies are just not available. eBit System is the app to change that and make way for a new era in currency exchange and payment. We plan to ensure payments in fiat currency, cryptocurrency. eBit System uses cryptocurrencies and blockchain technology to make all transactions cheaper. Nothing is more important, then making our system affortable for everyone. Banking and exchange costs can reach up to 12% of transaction value. We plan to save money for our users by making it as low as 1%. Competive edge not only for our business clients, but also, us. While instant travel is not possible yet, there is no reason anybody should wait up to three days for an international transaction to finalize. We want to save not only money, but most importantly - time. Making sure all transactions, exchanges and payments are done in a matter of minutes is imperative. Freedom of choice used to be a luxury, but now You can make payments wherever You like, in the currency You choose. Simple and quick personalized wallet with Your own eBit System card. Smartphones make it easy for us to message friends, post photos, check our mail and get information. 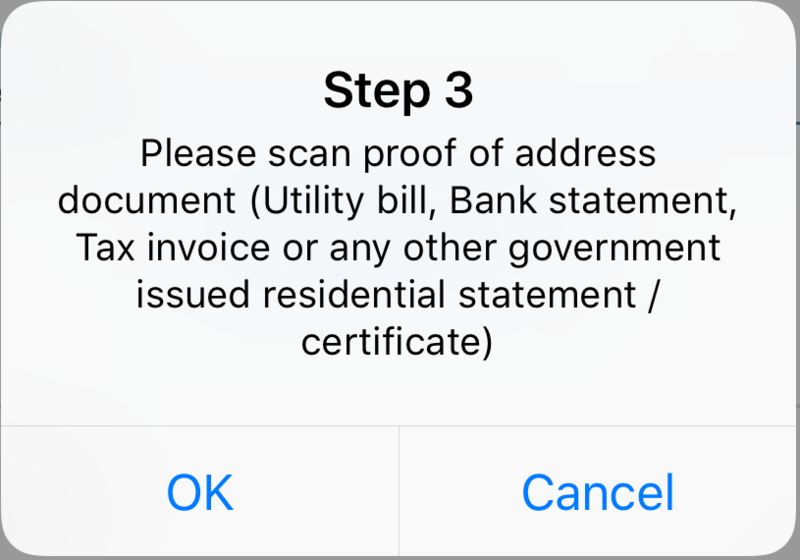 Making payments with foreign currency, cryptocurrency and else can also always be accessable with Your eBit System App. 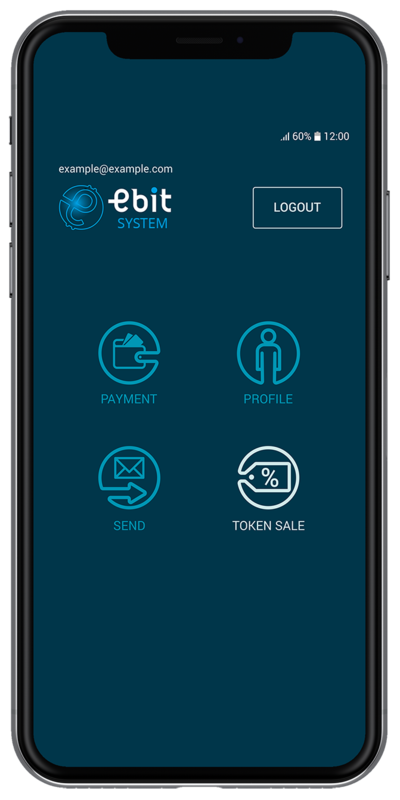 To buy cryptocurrencies and tokens, download the Ebit System App and help us build the payment processor of our time! In order to function well within the financial market, we need to initiate collaboration with other companies. To make payments as fast and secure as possible, large portion of our budget is going to securing transactions and contracts. Also, this opens up financial opportunities in the future. Giving users an app that not only is a great product, but also is evolving and constantly getting better is something that requires a strong development team and funds. After licencing and partnership costs are met, we plan to reinvest up to 50% of our revenue for further system development. As eBit System Limited we need to invest in software licences, bear the additional costs associated with cards and also “patching the gap” beetween cryptocurrencies and fiat currencies. We want to help millions of people with everyday transactions. By promoting our vision we can reach those people, and make sure our investors are taken care of. In order to grow at a rapid pace, we need to hire additional specialists in fields such as Finance and Legal Finance, Marketing, HR, Administration and Customer Service. Experienced in cryptocurrency market since 2014, marketing expert since 1989, current Google partner. Cryptocurrency analyst since 2014, programmer and qualified photograph high scored by Google. Development Advisor. Marketing specialist since 2014, Entrepreneur and cryptocurrency enthusiast. Entrepreneur and visionary, participated in numerous project as a creative director and advisor. Scrum methodology specialist, worked on numerous projects since 2012. Social media nad graphic design specialist since 2011. 5 years experience in customer service management, leader of customer service groups of up to 100 people, cryptocurrency enthusiast. Started as a recrutant of sales managers and supervisors, while developing her passion for cryptocurrencies. To her, cooperating with eBit System is mixing work with play. 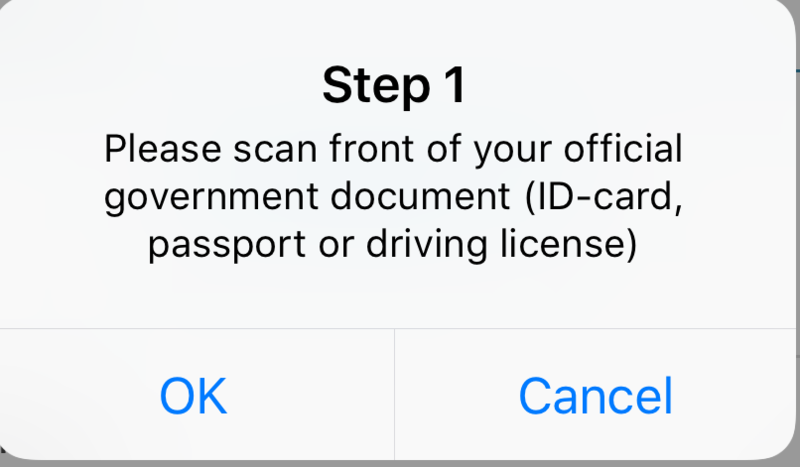 To properly use eBit system wallet every customer has to pass the KYC procedure. 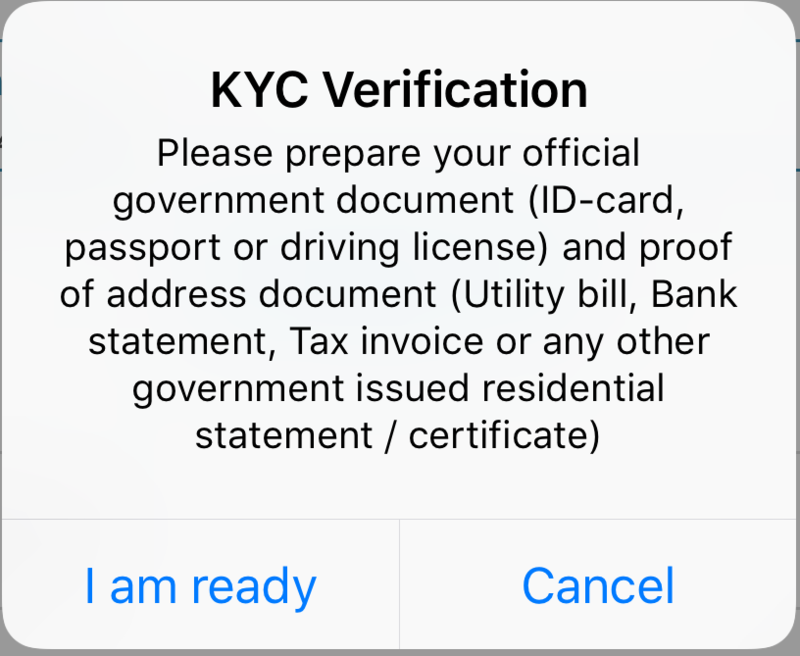 To pass the KYC procedure upon logging in You have to click on the profile icon. Next, you have to type in Your proper personal data in your profile section. and a valid - not older than 3 months- Invoice proving your address. 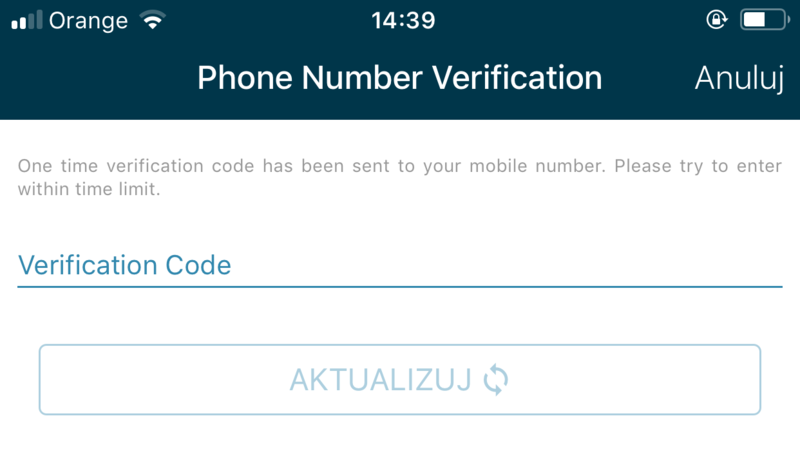 Meantime You have to verify your phone number. 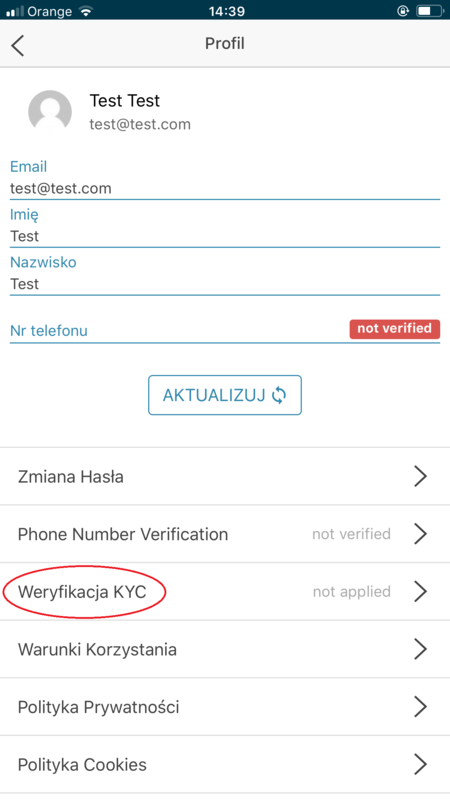 It is located next to KYC verification in Profile Section. During ICO, we accept payments in ETH and BTC. The minimum required investment is 100 eBits. In return for financing the further development of eBit System, our earliest users are offered a sale of a new cryptocurrency. Access to such funds will allow for immediate acceleration of development. It is also an effective way to bypass traditional, much slower financing methods. eBit System is not a bank, it offers much more than standard bank products - ability to have all of your transactions, accounts, currencies in one place, with the minimal prices for exchange, transfer or card payment. Some of typical features will stay of course. Users will be able to transfer money between them, receive and send standard transfers, in all currencies, in real time. Being an eBit System user is a great benefit on many different levels. Apply for a FIAT credit card at any time, and we will reflect it and secure it in the cryptocurrencies. How would you comment scam alerts ? While others talk a lot, we develop software. While it took us longer then we expected, we released software after 5 months of work. We are currently the only ICO in cryptopayments, that can offer a working product. We are a transparent, fully audited company, soon to be in possiesion of a DLT license. Scam rumours are just our competition trying to hold us back. What is the main reason of choosing ICO as the best opportunity to raise money ? There are several reasons, but I think the main is that it is currently the best and the least limited way to organize funds for specific purposes. Investors have the opportunity to benefit from the ICO that they support, they also contribute to a project they like and which they would like to see in the light of day. We are back for Android users, unfortunately, we are still having issues with apple store. Ebit System Application is temporarily unavailable due to improvement process related with a new token listing. 26.11.2018 eBit Cash coming soon! We are happy to inform You we have begun the development of eBit Cash. It will be used to exchange Euros and Dollars on the website and transfer them wherever You want, instantly, without fees. eBit Cash will have a non changing value, therefore it is perfect for transactions! To make sure all Your transactions are secure and regulated correctly, we have brought a new partner - Coinfirm, to handle our AML/KYC procedures. Make sure to check out the new procedures on the eBit System App in the Profile section. We must be doing something right, because as of right now, Elis token holders are welcome to park their tokens at eBit System. Elis is a ground-breaking drone mapping technology currently in ICO stage. Make sure to check them out! Because we want to provide You with the best quality of services possible, we are temporarly blocking eBit to Ether exchanges due to technological improvments we are implementing. Be patient - it is all worth it! We are officialy dealing on own account. eBit System is an online exchange office, and our first pair of currencies are Ethereum and eBit. It is now possible to exchange this currencies with each other. Enjoy! eBit System is very happy to announce a new partner making it's way onto the eBit System App. Rento is an ICO company preparing to become the biggest worldwide sharing platform for all devices, things and services. Combined with a Proof of Authority Blockchain for smartcontracts between users and a very interesting token economy solutions, Rento is a partner we are very proud to cooperate with. That is why we allowed Rento token holders to park their tokens at our easy to use, intuitive, safe wallet. We know that the amount of updates and software we are releasing is not typical for most ICO's. eBit System developes software as quickly as possible, not after we finish all token sales. The current price of eBit is $0,24, don't be late, it won't be available for long. 8.10.2018 Fashion, or technology expo at Trencin Mesto Mody 2018? 04.10.2018 Officially on Google Play! 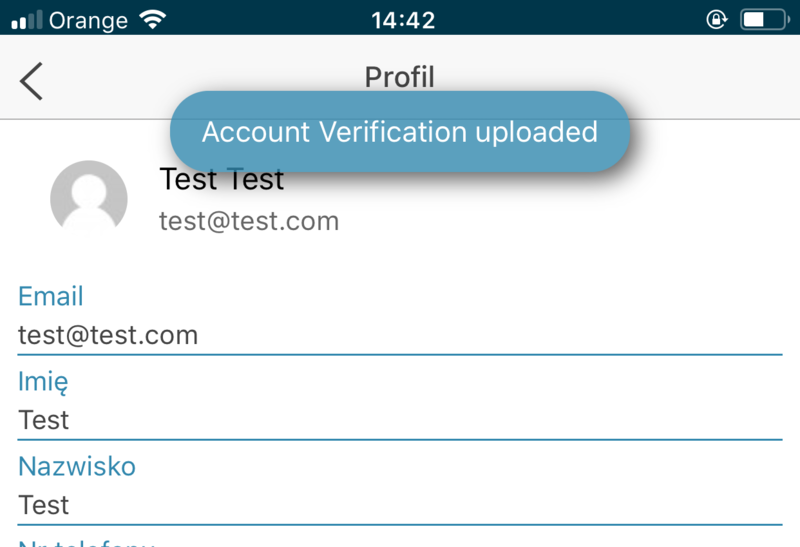 We are proud to announce that eBit System App is no longer a test version!! Download the official App for android from Google Play now! Bitcoin is on its way to eBit System! Look out for our new guest to eBit System App - Bitcoin! Soon it will be possible to purchase eBit for Bitcoin and exchange Bitcoin to Ethereum! Don't forget - The price is still $0,24 ! We are in final stages of preparation before the launch of our Virtual Financial Asset Offering! 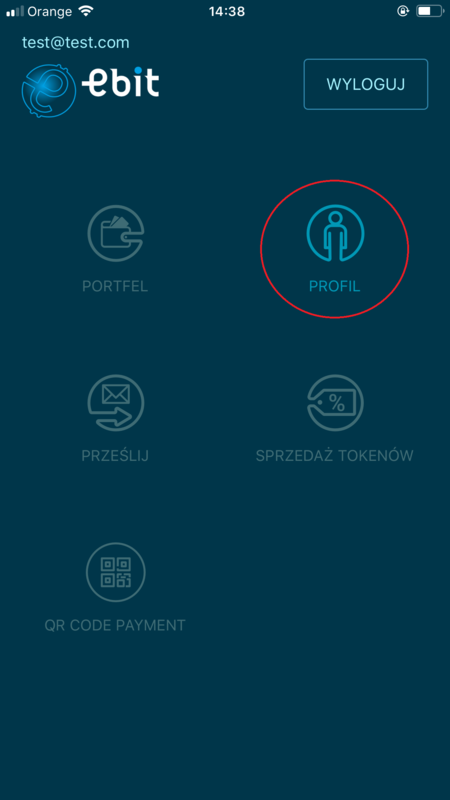 Soon it will be possible to purchase eBit tokens not only through our website, but also our eBit System app available on GooglePlay! The price - $0,24, so don’t miss out! Send ethereum on this address and smart contract will send back tokens. Only if you are whitelisted (so KYC passed).